Comcast may be a provider of TV and internet services, but at its heart it’s in the exact same business as literally every business: making profit. Bringing in more money without spending more money is the tried-and-true way of making profit, so that’s exactly what Comcast wants to do. And their planned way of doing it involves charging consumers more for the internet they already use, and then adding some more on top of that, too. Remarks from Comcast CEO Brian Roberts at a recent Business Insider event say that he is all for it, and hint that those of us who don’t already live in a “trial area” should probably get used to the idea of limits coming soon to a modem near us. Comcast has already been expanding the list of cities where subscribers have a limited amount of data available per month. Consumers who hit the limit either must pay overage fees of $10 for every 50 GB they use or cough up an extra $35 on an already-hefty bill to get back their former, functionally unlimited status. And according to Roberts, that is completely fair. 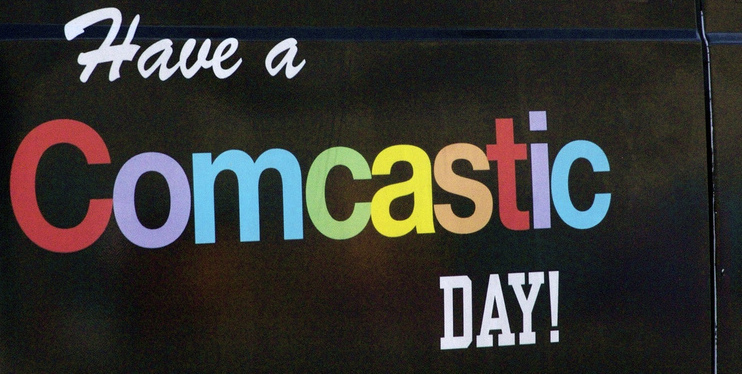 “Just as with every other thing in your life — if you drive a hundred thousand miles or a thousand miles you buy more gasoline,” the Comcast CEO said at the event this week. There’s a bit of an irony to Roberts’s particular analogies. During the net neutrality proceedings, all the major ISPs spent a great deal of energy arguing against Title II reclassification of broadband services, which they said was “utility-style” regulation that didn’t suit the digital world. But comparison to utilities that provide limited resources meted out as best they can sure seems to suit Roberts just fine when it comes to the ability to charge customers more. And while limits on the amount of water in a reservoir, or the number of megawatts a power plant can generate, really do factor into the pricing schema traditional utilities use, the same isn’t really true for Comcast at this time. It could be, in theory; the internet may not be a literal series of tubes but when it comes to too many people trying to use too small a network, it sure can feel like a backed-up sink. Network congestion is a genuine problem for the people and companies that have to maintain networks… it’s just not the problem that Comcast is actually dealing with, or the problem their pricing is aiming to solve. Here’s the thing about your power bill: if you stop using the A/C, or turn all your lights off, or go away for a month and unplug everything, your bill will go down. But if you go away for a month, unplug everything, and stop using your Comcast connection during that time, you still owe them for exactly as much in that cycle as if you had used 249 GB of data. Lower bills for using less of a resource would be an incentive to customers, and would help manage network load during peak periods. Higher bills on top of existing bills are an incentive to shareholders. Those customers, however, basically think that usage-based pricing is a confusing scourge that basically exist so that companies can continue cashing in big time as common, everyday internet usage gets continually more bandwidth-intensive.